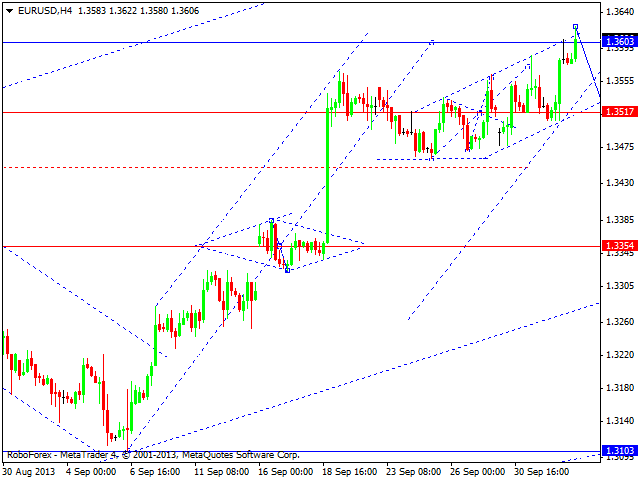 Euro is completing its ascending movement. We think, today the price may start a correction. We can’t exclude a possibility that the pair may reach new maximums, `cause the market hasn’t been able to form a pivot point yet. 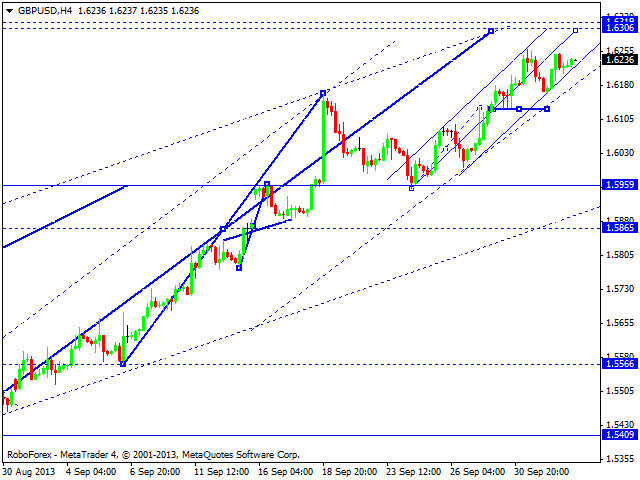 Pound couldn’t form a pivot point for a correction. We think, today the price may continue growing up towards the level of 1.6300 and then for a pivot point to start a correction. Pound also couldn’t form a pivot point. 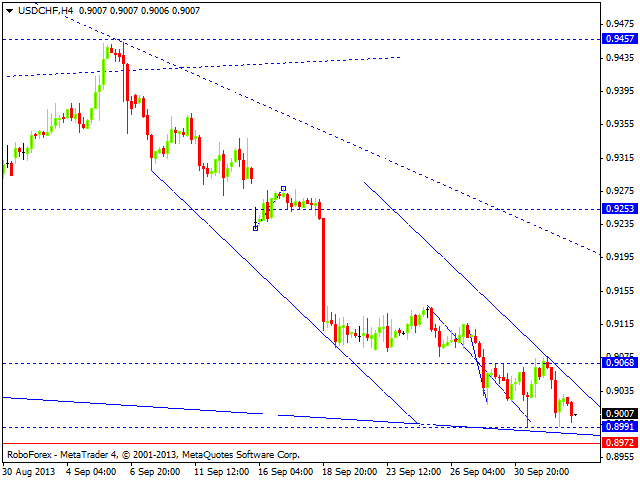 We think, today the price may move downwards to reach new minimums. We should not that the market is completing its descending movement and is about to start a correction. 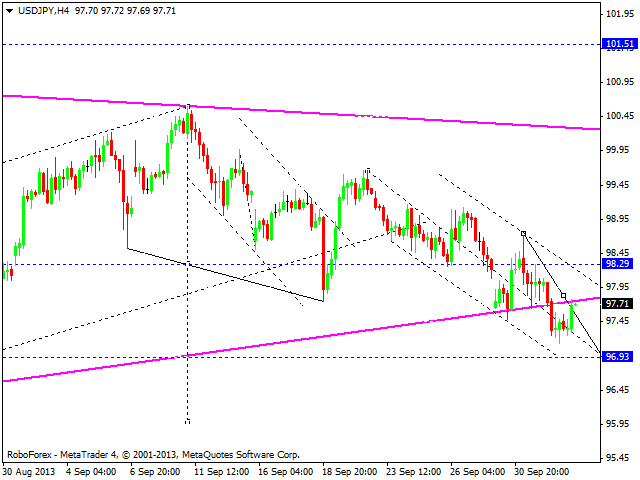 The USD/JPY currency pair reached a new minimum and may continue moving towards the level of 96.95. We think, today the price may continue falling down and complete the third descending structure by reaching the above-mentioned level. . Later, in our opinion, the pair may consolidate for a while and then continue moving inside the descending trend. 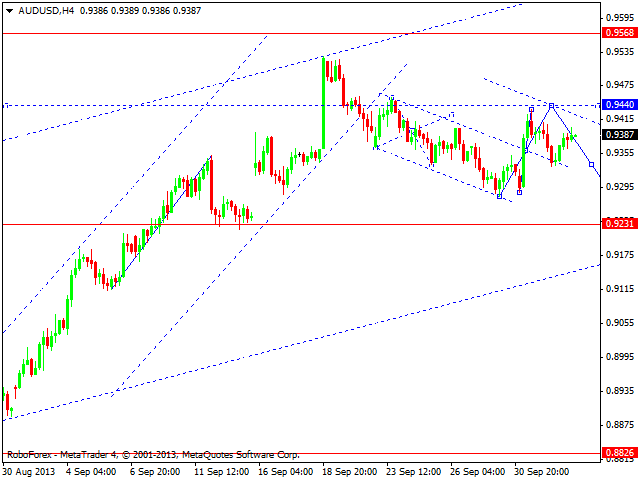 Australian Dollar is forming an ascending correction. We think, today the price may reach the target of this correction at 0.9440 and then start forming a new descending structure with the target at 0.9240. 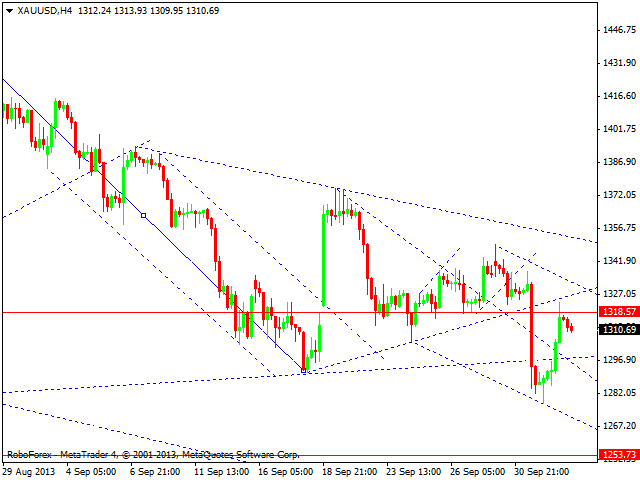 Gold reached the target of its descending movement; the price completed two descending structures inside the third wave. We think, today the instrument may star tone more structure, the third one, towards the level of 1260.